The date was November 8, 2013, and the venue The Radisson Hotel. It was Deerwalk Annual Fest 2013 which was held in the presence of our Chairman Rudra Pandey and our President Jeff Gasser accompanied by his wife Pamela Gasser. 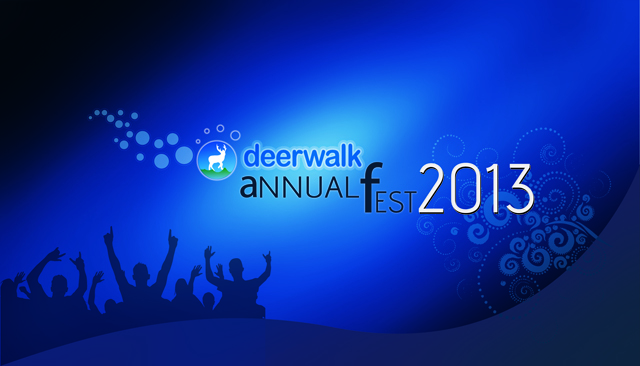 The Deerwalk Annual Fest is a way of celebrating everything that our company is about. It’s when hidden talents are brought out from amidst the employees of the company to everyone’s merriment and awe. It’s a celebration of success that is Deerwalk. If a tree falls in forest, still that is a man’s fault? 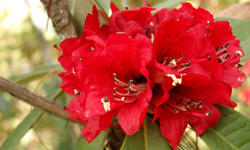 I have managed, counseled and led many graduates from IOE, Pulchowk. I have seen them grow, learn, mature and even struggle. I certainly feel that I have enough information about range of graduates from the school. The graduates from the school can be put all over the map. I have seen both the best and worst side of the graduates from the crème engineering school. By the way, the school has been producing so many great graduates for so many years not because of teachers or administration. Nepali Software Engineers, Please Think BIG!